Rob MacDonald has over 25 years of experience practicing law in the areas of transactions, corporate, commercial, tax, and “outside general counsel” activity, at the highest levels of sophistication. He has had a particular focus on international work, both “in-bound” and “out-bound.” In the transactional context, Rob has deep experience with, inter alia, investment funds, joint ventures, partnerships, other companies, and all aspects of debt and equity finance, from the straightforward to the exotic. On the commercial side, he has handled projects ranging from distribution to co-production agreements. He began his career as a tax lawyer, achieving prominence in that area in his first decade of practice, and he has maintained a substantial percentage of his activity in tax. Rob also has extensive experience acting in an outside general counsel role for US companies and for foreign companies with US investments or other business interests, and in that context has accumulated a broad range of experience ranging from litigation strategy to securities law. His client experience ranges from the world’s largest banks to dot-com start-ups. 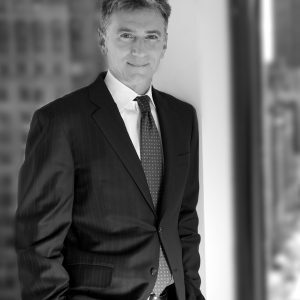 In MacDonald Weiss and before, as the former managing partner of the NY office of Gide Loyrette Nouel, one of France’s most prominent law firms, Rob has represented a primarily European clientele for many years. He has a sensitivity to the different business, legal, and social contexts from which French and other European clients operate, which enables him to shape more understandable, more effective advice to those clients. Il parle français aussi, bien que d’une manière quelque peu pittoresque.